Ideal for teaching and practicing fundamentals for early learners and for use with magnetic manipulatives. Bright white board contains 5 sets of blue headline and broken midline plus red baseline format. Each line set measures 1 1/8" with 3/8" of blank descender space between sets. Back side is magnetic plain white dry erase. 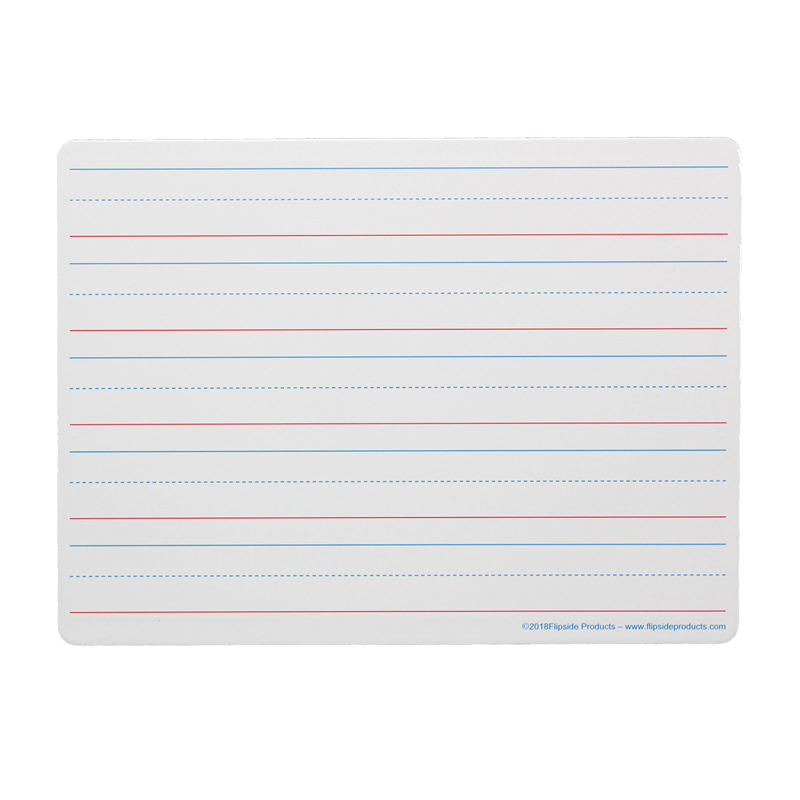 Boards feature a non-ghosting dry erase surface with rounded corners and smooth edges for comfort and safety.